The following is a personal account from Raoul Ketko, a colleague of the late John Rangihau, about how the two men influenced and energised each other through a mutual yearning to keep alive their respective indigenous languages and cultures. Raoul was a civil servant in the Department of Social Welfare, as it was known. By mid-1985 some of us in the then Department of Social Welfare had become actively concerned that the Department was being seen by Māori, who were disproportionately prominent amongst its clients, as alien and damaging to their welfare. As the then head of policy I discussed this with the Director-General and the Minister and the three of us decided to toss some ideas around with the Minister of Māori Affairs. Out of the ensuing session came a decision to establish a Ministerial Advisory Committee on a Bicultural Perspective for the Department of Social Welfare. I was asked to approach John Te Rangi-Aniwaniwa Rangihau, a prominent Rangatira (chief) of the Tuhoe Iwi (tribe) and invite him to chair the committee which would be tasked with advising the Minister of Social Welfare on the most appropriate means to achieve the goal of an approach which would meet the needs of Māori in policy, planning and service delivery in the Department of Social Welfare. The committee comprised the chief executives of Social Welfare, Māori Affairs, a State Services Commissioner, and three prominent Mäori leaders in addition to the Chairman. My meeting with John Rangihau, who consented to chair the committee, commenced a major chapter in my personal development, which culminated in my decision to make aliyah (immigrate to Israel from the diaspora). The man was magic. At that first meeting I was struck by the magnetism of this erudite and charismatic leader with his flashing eyes, his passion for the task and his deep understanding of and commitment to Māori culture. Te Rangihau (as he came to be known in the Committee) proved to be a magnificent chairman who led his committee, on which I served as an adviser, on visits to over 65 marae, youth institutions and district offices around the country to listen to the Māori people and Departmental staff and in challenging debates to force the Department to face up to its institutional racism and move forward. The Committee’s report “Puao-te-ata-tu” (Day break), was a landmark document which influenced development throughout the public service. Its appendix contains material which is invaluable to anyone interested in understanding the origins of cultural conflict and the dimensions of racism in New Zealand. During the committee’s travels I enjoyed stimulating conversations with Te Rangihau. Amongst other things we discussed the Köhanga Reo movement, which has been hailed as one of the most exciting and powerful national educational initiatives undertaken by Māori people. Te Köhanga Reo was begun in 1981 by the Department of Māori Affairs in response to Māori concern for the continuing survival of the Māori language. The programme is based on the principle that Māori children should be totally immersed in Mäori language and values from birth. It is education for life. It covers cultural, spiritual, social, economic, and educational aspects. Te Köhanga Reo aims to reaffirm Māori culture through whänau development, thus restoring Māori self-determination. Fundamental to the philosophy is the notion that if Māori children, who, by and large, had not succeeded too well in the New Zealand school system were to undergo the Köhanga Reo experience, they would be more likely to approach learning with confidence – to “stand tall” (the Tu Tangata philosophy), and ultimately to succeed. I was intrigued to learn from John Rangihau that the Köhanga Reo concept emerged from a visit he made to Israel in the late 1970’s. As an academic and a senior social worker with the then Department of Māori Affairs, he had been trying to grapple with the causes of the appalling social statistics which described his people. It was John Rangihau’s visit to an ulpan (intensive Hebrew language school, usually for new migrants) which ignited the spark which led to the Köhanga Reo development. He marvelled at how disparate people from around the world and with a bewildering array of native tongues could, in a relatively short time, be absorbed into Israeli life and culture. He grasped the concept of total immersion and saw in it the means to restore in Māori a reverence for their language and culture, which would feed into Tu Tangata – standing tall – and greater success in a bi-cultural, multi-ethnic nation. Twenty years ago [now 29], the Māori language was dying out-and taking with it the culture and confidence of New Zealand’s Māori people. In the 1980s, 75 per cent of Māori teenagers left school without qualifications-and a disproportionate number found their way onto the unemployment role and into prisons and institutions. Millions of dollars of government money were spent on the ”Māori problem”. Today, this is changing – and, says, Iritana Tawhiwhirangi, Māoridom’s youngest members have led the way. She has seen a movement to nurture under-fives in their own culture bubble up into a renaissance for her whole people. A former teacher and civil servant in the Department of Māori Affairs, Tawhiwhirangi was in at the birth of Kohanga Reo and now heads up the Trust which administers it. The idea of setting up kohanga reo (language nests) for pre-school children was born at a large tribal hui (meeting) in 1980. The idea was to “totally immerse” small children in their own language and culture, so that they would be confident of their own identity when they entered the school system. Following Māori tradition, which focussed on the extended family (whanau), each kohanga was to be run by a community which spanned the generations from the elderly fluent Māori-speakers through the parents to the children themselves. The first kohanga opened in 1982. By the end of the year there were 107, and three years later, 337. Today there are 750, catering for some 14,500 children. There are also some 55 total immersion Māori primary schools, set up by parents who felt their kohanga-reared children were being failed by the mainstream schools. In late 1986, while Ruth, my wife, and I were visiting Israel, I found myself constantly pondering the issues alluded to above. One day, while I was wondering why I felt so strongly about the Māori situation, it occurred to me that these strong feelings were not simply about others rediscovering their heritage. My commitment had as much to do with a need I was finally acknowledging to get closer to the treasures of my own heritage. I talked with Ruth and it was right then that we made a decision to consider aliyah to Israel. Twelve months later we acted on that decision. In the meantime, I returned to a department poised to implement the decisions of the Puao-te- ata-tu report. In view of my application for aliyah, I asked to be relieved of my policy role so that I could work full-time on the implementation as a member of the multi-ethnic Cultural Development Unit which was specially established for the task. That turned out to be a very enriching period for me. In October 1987, John Rangihau, who had literally burned himself out on the project, died. His loss was deeply felt by the unit, for whom he was the kaumatua (mentor), by the department, by Māoridom at large and by the whole of New Zealand. 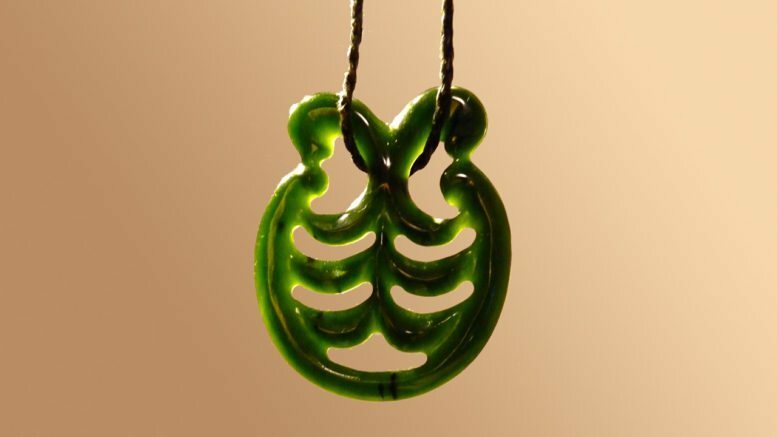 Two months later, when I was being farewelled by the unit, my colleagues presented me with a taonga (treasure) fashioned from greenstone which they had obtained from the West Coast and then had carved to represent the official symbol of Köhanga Reo. A similar one was presented to Ruth. At the presentation it was emphasised that the gift was to symbolise my link with Te Rangihau who had conceived of the idea of Köhanga Reo while visiting an ulpan and I was to wear the taonga during my forthcoming ulpan experience and beyond. The link endures. 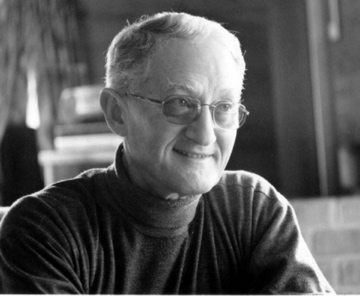 Raoul Ketko is a Jewish Aucklander and is now retired.